Great alpine and cross-country skiing is easily accessible from Seattle. Crystal Mountain has over 3,000 vertical feet of skiing with amazing views of Mount Rainier. Whistler/ Blackcomb in British Columbia is only four hours from Seattle, and offers some of the best skiing in North America. Mount Rainier National Park and Mount St. Helens National Volcanic Monument are a short distance from Seattle. The Olympic National Park is only a short ferry ride from Seattle across the Puget Sound, and contains protected alpine, rain forest, and coasts along the Pacific Ocean. In addition to our own University of Washington Huskies, Seattle is home to four professional sports teams, including the Seahawks, Mariners, Sounders and Storm. 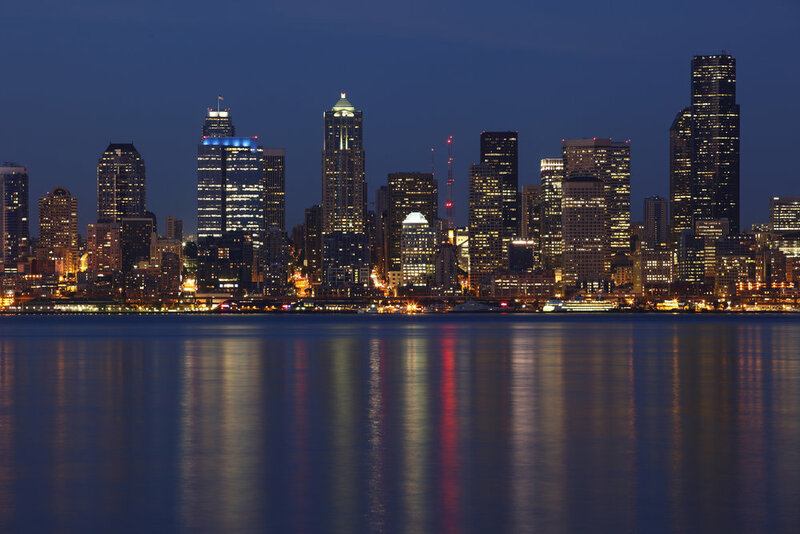 CenturyLink Field, home to the Seahawks and Sounders, and Safeco Field, home to the Mariners, are both located downtown and offer breathtaking views of downtown Seattle and the Puget Sound. Seattle.gov - A resource for things to do in Seattle, including arts, movies, night life, events, music, shopping, sports events, restaurants, and hotels.